The second man charged with intentionally hunting down and striking a bicyclist in Brookfield on May 31, 2009 has been sentenced to zero jail time. The driver, 20 year old Erik Fabian, plead guilty to aggravated battery with a deadly weapon and leaving the scene of an accident. He was sentenced to two years probation. Fabian's buddy, Armando Reza, was sentenced last week to 10 days in jail for the same incident, a seemingly light sentence that has outraged a good many Chicago bicyclists. According to the Chicago Breaking News Center, the two were drinking before deciding to drive around looking for bicyclists to hit. Both men were sentenced by Cook County Judge Carol Kipperman. The Active Transportation Alliance, a Chicago bicycle advocacy group, has expressed outrage at the "insufficient sentences" given to the men. This morning the group started a letter writing campaign directed at Cook County State's Attorney, Anita Alvarez, and assistant state's attorney, Mike Pattarozzi, to justify these negotiated sentences. According to the Alliance the crimes with which the men were charged were eligible for penalties of up to 2-5 years in jail. I am deeply disappointed and outraged at the insufficient sentences given to Armando Reza and Erik Fabian, who were both recently convicted of intentionally running down cyclists with a car in Brookfield, Ill., in 2009. Reza pleaded guilty to aggravated battery with a deadly weapon and driving under the influence of alcohol, yet his plea agreement amounted to a mere 10 days in jail, two years of probation and counseling. Fabian also pleaded guilty to aggravated battery with a deadly weapon and leaving the scene of an accident. He was sentenced to no jail time, and two years of probation. As a member of the bicycling community, I call upon the office of the Cook County State’s Attorney to justify the negotiation of these lenient sentences, particularly in light of the violent and deliberate nature of Reza and Fabian’s actions. These crimes were eligible for penalties of up to 2-5 years in jail. 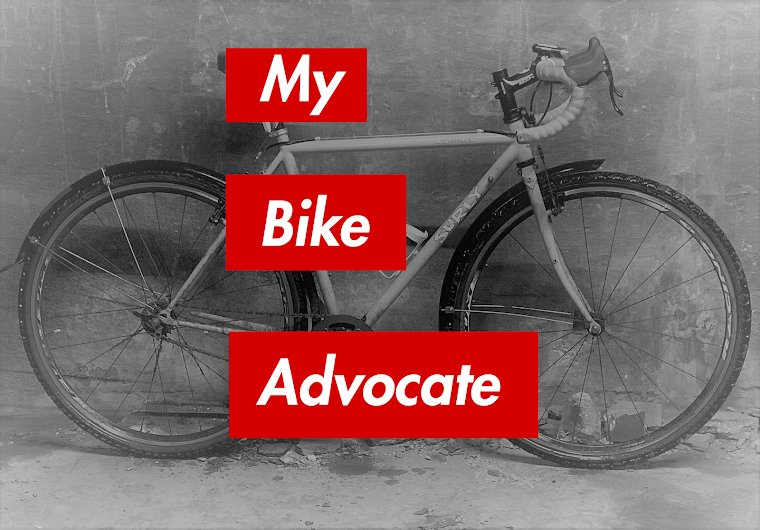 I ride my bike in Cook County and need to trust that our justice system will protect my rights if I am injured due to a motorist’s hostile and unlawful actions. I respectfully urge your office to prosecute future acts of traffic violence to the fullest extent possible, especially those involving bicyclists and pedestrians, to help make roadways in Cook County safe for all users. Thank you for taking my request seriously. Is there any mandatory minimum sentence for vehicular assault or vehicular homicide? If not, don't you think there should be, so that violent, irresponsible drivers like this don't get "slap on the wrist" sentences? You can also join Ms. Alvarez in marching this Sunday, June 27th in the 41st Annual Chicago LGBT Pride Parade. She we be at float number 56 which will be on the west side of Halsted Street between Barry and Wellington. She will provide T-shirts and water, you can ask her for justification. The message is: "Open season on cyclists." Why don't we all go out and bag one today? After all, you just get a slap on the wrist. Also, have a few pints before you do it - it doesn't seem to matter to the DA. There is no mitigating circumstance here, these little bastards need to be severely reprimanded and any DA who does not understand that should be removed. Wow.. well, have a few pints then go hit them with a baseball bat a few times.. they may or may not die.. its really no different than trying to hit someone with your car.. and at least you don't damage your car. I'm guessing the punishment would be far worse for such an act.. Legal system just treats cyclists less than human unfortunately. They don't like us. I am guessing that the relative youth of the drivers and the fact that the bicyclists were not severely injured played a role in the plea negotiation and sentencing. I agree, though, that this really sends the wrong message. Another example.. they shot someone for fun, but it only grazed the skin.. the shootee wasn't seriously injured.. sure they were drinking too.. but they're young.. so plea negotiation and sentencing.. they should get a ride, right? it doesn't really matter that the shooter was performing an act that could very easily kill him. hitting someone intentional with a car is attempted manslaughter, no different than pulling a trigger of a gun.. bow and arrow.. baseball bat to the head.. pure and simple. It isn't clear to me what happened to the driving privileges of these criminals. Will they continue to be allowed to drive? If so, this is really crazy. I have to wonder what would have happened if instead of choosing to target cyclists they had instead chosen children, pregnant women, grandmothers, lesbians, priests, etc. It would seem cyclists are second hand citizens in the eyes of the law. The unfortunate gentleman who killed a girl downstate and grievously injured her two cycling companions was issued a "citation". Tragic for all involved. And tragic for the rest of us who have to share the road with someone who is clearly incompetent. And now it seems we get to share the road, also, with two young adults who are clearly hostile. It would seem that if one were to contemplate perpetrating a violent crime against another person, the ideal way to do so would not be with a gun, but rather to strike them with a vehicle while they are on a bike. I'm so mad I'm going to hop on my bike and smash into some cars.